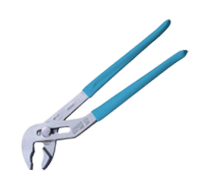 Latest adjustable design and highest grade of Japanese alloy steel for the longest tool life in this kind. 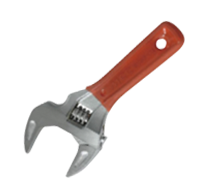 Heavy Duty, handle and jaw are made of drop forging steel. Square type knurl reduces jaw tolerance which minimize the looseness in jaws. 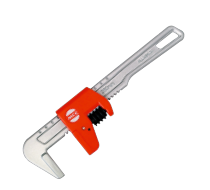 No jaw end comes out from handle unlike conventional model. Made it 20% smaller head. 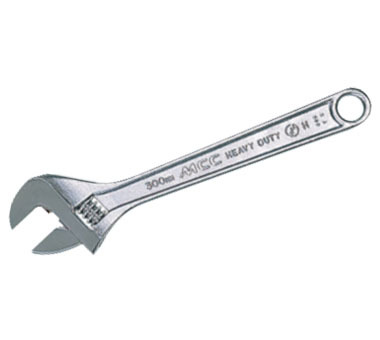 Wider jaw opening allows to use on the one size larger nut. Compact thinner head and lighter weight for easy operation. Can be used for both direction unlike conventional model.